Mother's Day is next weekend. What better way to say 'I Love You! ', and 'Thank You!' by giving a home-made gift. 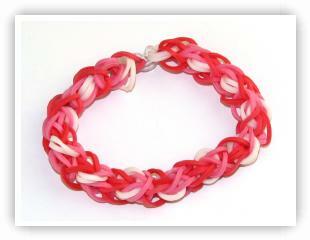 A home-made Rainbow Loom Bracelet makes the perfect Mother's Day gift. After all, it is jewelry!. Surprise her this coming weekend with a gift from the heart (and from your loom), with perhaps a Heart Shaped bracelet, or a Hugs and Kisses bracelet, Double Cross Long Heart Stripe bracelet, or Raindrops bracelet. Any of our patterns will make the perfect Mother's Day gift. She's worth it! P.S. Thanks Mom ! Happy Mother's Day! 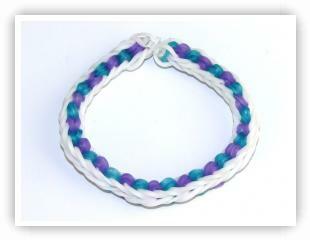 Another new pattern has been created by our group, the Triple Looped Fishtail bracelet. This bracelet is an adaptation of the fishtail bracelets, and has elastics tripled up on all the strands of the fishtail. This makes the bracelet look as though there are beads between the stands. The colors we chose were purple and blue (in a gel color), but feel free to chose any color you prefer. Have fun! Easter is just around the corner. In addition to decorating eggs for Easter, consider making a bracelet or two. You can use some Easter colors, or choose patterns which are a little more "egg" like. The Tulip Tower is an excellent choice. An additional bracelet would be the Bobble. Have FUN making your Easter bracelets, and if we don't post again before Easter, Have a Great Easter ! ! ! Consider making a bracelet for St. Patrick's Day. 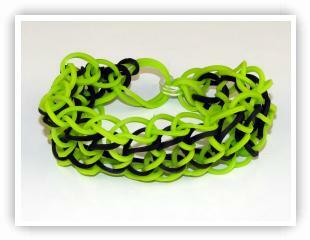 There are a number of shades of green elastics available to produce your bracelet. Some nice choices you can make for a gift would be the Diamond, Spiral, or Double-Rhombus. Any of our bracelets would be an excellent choice, just change the primary color to green, and you'll be into the St. Patrick spirit. 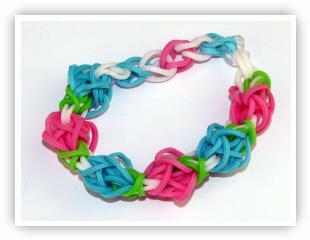 Have FUN making your St. Paddy's bracelets ! ! ! Yes, you are on the right website. We have revamped our website to include what is called a responsive design. 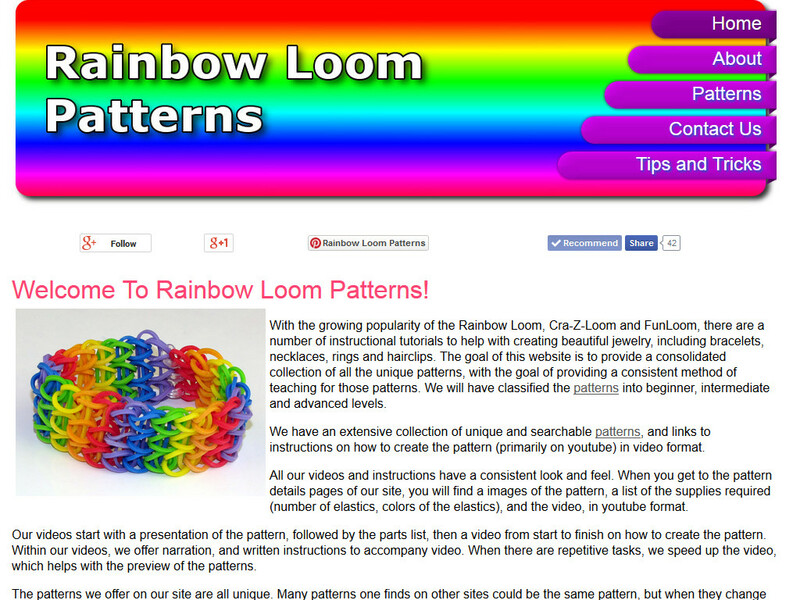 This website layout will improve your viewing pleasure of our videos and patterns on a wider variety of devices, including your PCs, and mobile devices such as iPads, iPods and Smartphones.